Good news for OnePlus 3 and OnePlus 3T users! 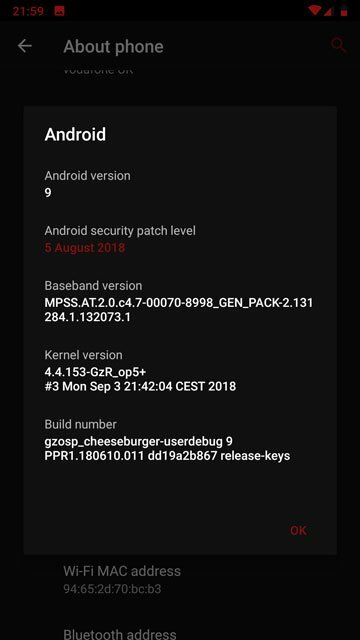 GZOSP ROM brings Android 9.0 Pie to OnePlus 3 and 3T. Just download the ROM and Android Pie GApps package and flash them using the steps described below. When OnePlus came up with the OnePlus One, it broke the market with its killer specs. After the relative failure of the OnePlus 2 and OnePlus X, the Chinese company has never looked back. OnePlus’ new flagship, OnePlus 6T is the latest and greatest from the company and will remain so until sometime next year. But there are two devices that really help solidify the OnePlus brand in the smartphone market. Those are the OnePlus 3 and the OnePlus 3T which are still great devices 2 years down the line. That may be why, even though official support has already ended, OnePlus has changed its stance and is looking to provide the Android 9.0 update to the OnePlus 3T. According to present reports, OnePlus 3T users can expect the update sometime in Q1 2019. This still leaves out the OnePlus 3 though. Even OnePlus users have a rather long wait ahead of them. Fortunately, third-party developers are more passionate about the work they do and the devices they own. You can already install Android 9.0 Oreo on your OnePlus 3/3T via GZOSP custom ROM. The ROM is currently in beta and may contain some unmentioned bugs. The ROM is in an early beta stage as already mentioned so you know what you’re getting into. Other major or minor bugs might also be present that have not been mentioned here. Before you go ahead and install the ROM, you must be ready to deal with the issues. Furthermore, installing custom ROMs can prove to be quite the risk and you may end up with an unusable device. Neither the developer of the ROM nor DroidViews takes any responsibility for anything that happens to your device. Proceed at your own responsibility. A OnePlus 3 or 3T with an unlocked bootloader. A custom recovery such as TWRP must be installed on the device. Make sure your device has at least 50% battery left so as to prevent any accidental shutdowns. Download the ROM and GApps (and Magisk, if you want to root) files and transfer them to your OnePlus device. Once turned off, press and hold the Power and Volume Down button simultaneously. 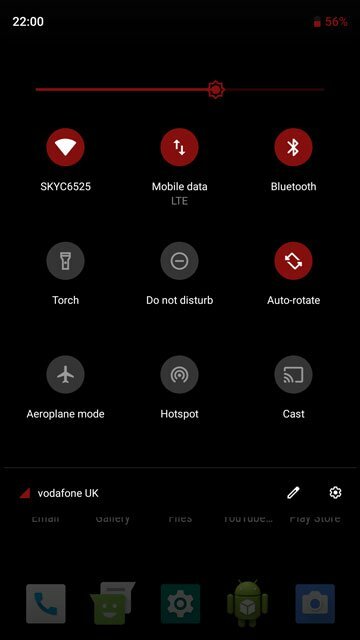 Continue to hold the two buttons past the OnePlus splash screen boot logo until your device boots into recovery mode. When in recovery mode, select the Backup option from the TWRP main menu and then select the partitions you would like to backup. It is recommended that you create a complete NANDroid backup of your current ROM, including all the partitions. This way, you can always restore your device to its existing state after trying out the new ROM. The Backup process can take quite a while depending on the partitions you’ve selected but once it’s complete, go back to the main menu. Now go to Wipe > Advanced Wipe and select system, data, cache, and Dalvik cache. Swipe at the bottom to wipe these partitions. Remember to not select the internal storage unless you want to wipe it. 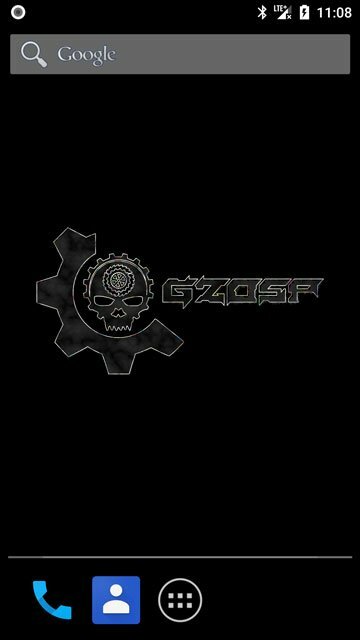 Select Install from the main menu and then browse to and select the ROM zip file (Gzosp-oneplus3-9.Beta.2.0-OFFICIAL-20181110-1557.zip). Tap on the Add more zips button and this time, select the GApps file that you’ve downloaded. Similarly, also select the Magisk zip file if you want root access. Swipe at the bottom to start the flashing process. After the flashing is complete, you will notice that a Reboot system button appears at the bottom. Tap on it.